"Mawson" redirects here. For other uses, see Mawson (disambiguation). Sir Douglas Mawson OBE FRS FAA (5 May 1882 – 14 October 1958) was an Australian geologist, Antarctic explorer, and academic. Along with Roald Amundsen, Robert Falcon Scott, and Sir Ernest Shackleton, he was a key expedition leader during the Heroic Age of Antarctic Exploration. The Mawson Station in the Australian Antarctic Territory is named in his honour. Mawson was born on 5 May 1882 to Robert Ellis Mawson and Margaret Ann Moore. He was born in Shipley, West Yorkshire, but was less than two years old when his family immigrated to Australia and settled at Rooty Hill, now in the western suburbs of Sydney. He attended Fort Street Model School and the University of Sydney, where he graduated in 1902 with a Bachelor of Engineering degree. He was appointed geologist to an expedition to the New Hebrides (now Vanuatu) in 1903; his report, The Geology of the New Hebrides, was one of the first major geological works of Melanesia. Also that year he published a geological paper on Mittagong, New South Wales. His major influences in his geological career were Professor Edgeworth David and Professor Archibald Liversidge. He then became a lecturer in petrology and mineralogy at the University of Adelaide in 1905. He identified and first described the mineral davidite. Mawson joined Ernest Shackleton's Nimrod Expedition (1907–09) to the Antarctic, originally intending to stay for the duration of the ship's presence in the first summer. Instead both he and his mentor, Edgeworth David, stayed an extra year. In doing so they became, in the company of Alistair Mackay, the first to climb the summit of Mount Erebus and to trek to the South Magnetic Pole, which at that time was over land. Mawson turned down an invitation to join Robert Falcon Scott's Terra Nova Expedition in 1910; Australian geologist Griffith Taylor went with Scott instead. Mawson chose to lead his own expedition, the Australasian Antarctic Expedition, to King George V Land and Adelie Land, the sector of the Antarctic continent immediately south of Australia, which at the time was almost entirely unexplored. The objectives were to carry out geographical exploration and scientific studies, including a visit to the South Magnetic Pole. Mawson raised the necessary funds in a year, from British and Australian governments, and from commercial backers interested in mining and whaling. The expedition, using the ship SY Aurora commanded by Captain John King Davis, departed from Hobart on 2 December 1911, landed at Cape Denison (named after Hugh Denison, a major backer of the expedition) on Commonwealth Bay on 8 January 1912, and established the Main Base. 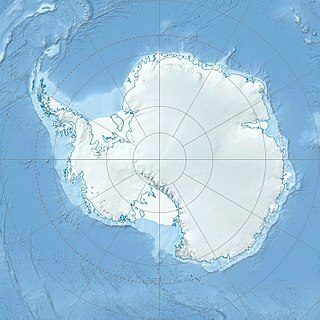 A second camp was located to the west on the ice shelf in Queen Mary Land. Cape Denison proved to be unrelentingly windy; the average wind speed for the entire year was about 50 mph (80 km/h), with some winds approaching 200 mph (320 km/h). They built a hut on the rocky cape and wintered through nearly constant blizzards. Mawson wanted to do aerial exploration and brought the first aeroplane to Antarctica. The aircraft, a Vickers R.E.P. Type Monoplane, was to be flown by Francis Howard Bickerton. When it was damaged in Australia shortly before the expedition departed, plans were changed so it was to be used only as a tractor on skis. However, the engine did not operate well in the cold, and it was removed and returned to Vickers in England. The aircraft fuselage itself was abandoned. On 1 January 2009, fragments of it were rediscovered by the Mawson's Huts Foundation, which is restoring the original huts. Mawson's exploration program was carried out by five parties from the Main Base and two from the Western Base. Mawson himself was part of a three-man sledging team, the Far Eastern Party, with Xavier Mertz and Lieutenant Belgrave Ninnis, who headed east on 10 November 1912, to survey King George V Land. After five weeks of excellent progress mapping the coastline and collecting geological samples, the party was crossing the Ninnis Glacier 480 km east of the main base. Mertz was skiing and Mawson was on his sled with his weight dispersed, but Ninnis was jogging beside the second sled. Ninnis fell through a crevasse, and his body weight is likely to have breached the snow bridge covering it. The six best dogs, most of the party's rations, their tent, and other essential supplies disappeared into the massive crevasse. Mertz and Mawson spotted one dead and one injured dog on a ledge 165 ft below them, but Ninnis was never seen again. Their meat was stringy, tough and without a vestige of fat. For a change we sometimes chopped it up finely, mixed it with a little pemmican, and brought all to the boil in a large pot of water. We were exceedingly hungry, but there was nothing to satisfy our appetites. Only a few ounces were used of the stock of ordinary food, to which was added a portion of dog's meat, never large, for each animal yielded so very little, and the major part was fed to the surviving dogs. They crunched the bones and ate the skin, until nothing remained. There was a quick deterioration in the men's physical condition during this journey. Both men suffered dizziness; nausea; abdominal pain; irrationality; mucosal fissuring; skin, hair, and nail loss; and the yellowing of eyes and skin. Later Mawson noticed a dramatic change in his travelling companion. Mertz seemed to lose the will to move and wished only to remain in his sleeping bag. He began to deteriorate rapidly with diarrhoea and madness. On one occasion Mertz refused to believe he was suffering from frostbite and bit off the tip of his own little finger. This was soon followed by violent raging—Mawson had to sit on his companion's chest and hold down his arms to prevent him from damaging their tent. Mertz suffered further seizures before falling into a coma and dying on 8 January 1913. It was unknown at the time that Husky liver contains extremely high levels of vitamin A. It was also not known that such levels of vitamin A could cause liver damage to humans. With six dogs between them (with a liver on average weighing 1 kg), it is thought that the pair ingested enough liver to bring on a condition known as Hypervitaminosis A. However, Mertz may have suffered more because he found the tough muscle tissue difficult to eat and therefore ate more of the liver than Mawson.While both men suffered, Mertz suffered more severely. Mawson continued the final 100 miles alone. During his return trip to the Main Base he fell through the lid of a crevasse, and was saved only by his sledge wedging itself into the ice above him. He managed to climb out using the harness attaching him to the sled. When Mawson finally made it back to Cape Denison, the ship Aurora had left only a few hours before. It was recalled by wireless communication, only to have bad weather thwart the rescue effort. Mawson and six men who had remained behind to look for him wintered a second year until December 1913. In Mawson's book Home of the Blizzard, he describes his experiences. His party, and those at the Western Base, had explored large areas of the Antarctic coast, describing its geology, biology and meteorology, and more closely defining the location of the South Magnetic Pole. In 1915, the Royal Geographical Society awarded him their Founder's Gold Medal and in 1916 the American Geographical Society awarded him the David Livingstone Centenary Medal. The expedition was the subject of David Roberts' book Alone on the Ice: The Greatest Survival Story in the History of Exploration. In his book The Home of the Blizzard, Mawson talked of "Herculean gusts" on 24 May 1912 which he learned afterwards "approached two hundred miles per hour". Mawson reported that the average wind speed for March was 49 miles per hour; for April, 51.5 miles per hour; and for May, 67.719 miles per hour. These katabatic winds can reach around 300 km/h (190 mph) and led Mawson to dub Cape Denison "the windiest place on Earth". The Mawson Laboratories at the University of Adelaide. Mawson married Francisca Adriana (Paquita) Delprat (daughter of G. D. Delprat) on 31 March 1914 at Holy Trinity Church of England, Balaclava, Victoria. They had two daughters, Patricia and Jessica. Also in 1914, he was knighted, and was preoccupied with news of the Scott disaster until the outbreak of World War I. Mawson served in the war as a major in the British Ministry of Munitions. Returning to the University of Adelaide in 1919, he was promoted to the professorship of geology and mineralogy in 1921, and made a major contribution to Australian geology. He organised and led the joint British Australian and New Zealand Antarctic Research Expedition in 1929–31, which resulted in the formation of the Australian Antarctic Territory in 1936. He also spent much of his time researching the geology of the northern Flinders Ranges in South Australia. Upon his retirement from teaching in 1952 he was made an emeritus professor of the University of Adelaide. He died at his Brighton home on 14 October 1958 from a cerebral haemorrhage. He was 76 years old. At the time of his death he had still not completed editorial work on all the papers resulting from his expedition, and this was completed by his eldest daughter, Patricia, only in 1975. His image appeared on several postage stamps of the Australian Antarctic Territory: 5 pence (1961), 5 pence (1961), 27 cents and 75 cents (1982), 10 cents (2011), 45 cents (1999). His image appeared from 1984 to 1996 on the Australian paper one hundred dollar note and in 2012 on a $1 coin issued within the Inspirational Australians series. Mawson Peak (Heard Island), Mount Mawson (Tasmania), Mawson Station (Antarctica), Dorsa Mawson (Mare Fecunditatis), the geology building on the main University of Adelaide campus, suburbs in Canberra and Adelaide, a University of South Australian campus and the main street of Meadows, South Australia are named after him. At Oxley College in Burradoo, New South Wales, a sports house is called Mawson, as is at Clarence High School in Hobart, Tasmania, Forest Lodge Public School and Fort Street High School, both in Sydney, where he was educated. The Mawson Collection of Antarctic exploration artefacts is on permanent display at the South Australian Museum, including a screening of a recreated version of his journey that was shown on ABC Television on 12 May 2008. Mawson (postcode 2607) is a suburb of Canberra, district of Woden Valley, Australian Capital Territory. The suburb was gazetted in 1966 and is named after him. The theme for street names in this area is Antarctic exploration. In 2011, Ranulph Fiennes included Mawson in his book My Heroes: Extraordinary Courage, Exceptional People. In 2013 an "Australian Mawson Centenary Expedition" was led by Australian Polar scientists Chris Turney and Chris Fogwill, of the University of New South Wales, together with Antarctic veteran geologist and mountaineer Greg Mortimer and a group of scientists and adventurers. The expedition was centred on Antarctic and Sub-Antarctic oceanography, climate and biology. The ship, the MV Akademik Shokalskiy, became trapped in the Antarctic sea ice. In December 2013, some of the expedition members revisited Mawson's huts at Cape Denison on Commonwealth Bay. After the release of Mawson's journals and other expedition records, some historians have questioned Mawson's navigation, risk-taking and leadership. In December 2013, the first opera to be based on Mawson's 1911–14 expedition to Antarctica, "The Call of Aurora" (by Tasmanian composer Joe Bugden) was performed at The Peacock Theatre in Hobart. "The Call of Aurora" investigates the relationship between Douglas Mawson and his wireless operator, Sidney Jeffryes, who developed symptoms of paranoia and had to be relieved of his duties. Mawson's book, Alone on the Ice, and the deadly effect of dog liver are referenced in the plot of an episode of British television series New Tricks, where it is used to commit the almost-perfect murder. ^ a b Alderman, A. R.; Tilley, C. E. (1960). "Douglas Mawson 1882-1958". Biographical Memoirs of Fellows of the Royal Society. 5: 119. doi:10.1098/rsbm.1960.0011. ^ a b c Jacka, F. J. "Mawson, Sir Douglas (1882–1958)". Australian Dictionary of Biography Online. Retrieved 26 July 2016. ^ a b Mark Pharoah, curator of the Mawson collection at the South Australia Museum in Adelaide. Cited by Andrew Luck-Baker, Douglas Mawson: An Australian hero's story of survival, BBC News, 27 February 2014. ^ "Relic of Antarctica's first plane discovered on ice edge". ^ Sir Douglas Mawson (2009) [Autumn 1914]. Geoffrey Cowling; David Widger (eds.). The Home of the Blizzard: Being the Story of the Australasian Antarctic Expedition, 1911–1914. London, UK: Project Gutenberg. ^ "Man's Best Friend?". Student BMJ 2002;10:131–170 May. Retrieved 11 November 2009. ^ "List of Past Gold Medal Winners" (PDF). Royal Geographical Society. Archived from the original (PDF) on 27 September 2011. Retrieved 24 August 2015. ^ "The Cullum Geographical Medal" Archived 26 March 2009 at the Wayback Machine. American Geographical Society. Retrieved 17 June 2010. ^ Australian Antarctic Division > Home of the Blizzard. Retrieved 10 October 2013. ^ "123RF Stock Photo". Retrieved 30 August 2017. ^ "The James Caird Society". Retrieved 30 August 2017. ^ "Traveling Antarctica". Retrieved 30 August 2017. ^ "Australian Stamp Explorer no. 56 (Mawson's Hut)" (PDF). Retrieved 30 August 2017. ^ "Sir Douglas Mawson Featured on Australian $1 Coin - Coin Update". news.coinupdate.com. ^ "Australian Spirit of Mawson ship trapped in Antarctic sea ice". explorersweb.com. 29 December 2013. Retrieved 30 December 2013. ^ "Expedition to Mawson's Huts: a journey into Antarctica – video". The Guardian. 25 December 2013. Retrieved 30 December 2013. ^ "The Call of Aurora". December 2013. Retrieved 28 February 2014. Bickel, Lennard  (2001). This Accursed Land, foreword by Sir Edmund Hillary, Edinburgh: Birlinn Ltd. ISBN 1-84158-141-0. Jacka, F. J. "Mawson, Sir Douglas (1882–1958)", Australian Dictionary of Biography, Volume 10, MUP, 1986, pp 454–457. Mawson, Sir Douglas, 2 vol. (1915) The Home of the Blizzard, being the story of the Australasian Antarctic expedition, 1911–1914 Vol. I, London: Ballantyne Press. Roberts, Peder (2004). "Fighting the 'microbe of sporting mania': Australian science and Antarctic exploration in the early 20th century". Endeavour. 28 (3) (published September 2004). pp. 109–113. doi:10.1016/j.endeavour.2004.07.005. PMID 15350758. Turney, Chris (2013), 1912: The Year The World Discovered Antarctica, Text Publishing, Melbourne. Jacka, Fred; Jacka, Eleanor, eds. (1988). Mawson's Antarctic Diaries. London, Sydney and Wellington: Unwin Hyman. ISBN 0-043-20209-8. E.M. Suzyumov (1960, 1968). A life given to the Antarctic. Douglas Mawson – Antarctic Explorer. Adelaide, Libraries Board of South Australia. Translated from the Russian. First published in "Remarcable Geographers and Travellers", State Publishing House of Geographical Literature, Moscow, 1960. Wikimedia Commons has media related to Douglas Mawson. Xavier Mertz was a Swiss explorer, mountaineer and skier, from Basel. He took part in the Far Eastern Party, a 1912–1913 component of the Australasian Antarctic Expedition, which claimed his life. The Mertz Glacier is named after him. The British Australian (and) New Zealand Antarctic Research Expedition (BANZARE) was a research expedition into Antarctica between 1929 and 1931, involving two voyages over consecutive Austral summers. It was a British Commonwealth initiative, driven more by geopolitics than science, and funded by the United Kingdom, Australia and New Zealand. Cape Denison is a rocky point at the head of Commonwealth Bay in Antarctica. It was discovered in 1912 by the Australasian Antarctic Expedition (1911–14) under Douglas Mawson, who named it for Sir Hugh Denison of Sydney, a patron of the expedition. The cape was the site of the expedition's main base. Called by Mawson "the windiest place on Earth", the site experiences fierce katabatic winds. Mertz Glacier is a heavily crevassed glacier in George V Coast of East Antarctica. It is the source of a glacial prominence that historically has extended northward into the Southern Ocean, the Mertz Glacial Tongue. It is named in honor of the Swiss explorer Xavier Mertz. The Australasian Antarctic Expedition (AAE) was an Australasian scientific team that explored part of Antarctica between 1911 and 1914. It was led by the Australian geologist Douglas Mawson, who was knighted for his achievements in leading the expedition. In 1910 he began to plan an expedition to chart the 3,200-kilometre-long (2,000 mi) coastline of Antarctica to the south of Australia. The Australasian Association for the Advancement of Science approved of his plans and contributed substantial funds for the expedition. Mawson's Huts are the collection of buildings located at Cape Denison, Commonwealth Bay, in the far eastern sector of the Australian Antarctic Territory, some 3000 km south of Hobart. The buildings were erected and occupied by the Australasian Antarctic Expedition (AAE) of 1911-1914, led by geologist and explorer Sir Douglas Mawson. SY Aurora was a barque-rigged steam yacht built by Alexander Stephen and Sons Ltd. in Dundee, Scotland, in 1876, for the Dundee Seal and Whale Fishing Company. It was 165 feet (50 m) long with a 30-foot (9.1 m) beam. The hull was made of oak, sheathed with greenheart and lined with fir. The bow was a mass of solid wood reinforced with steel-plate armour. The heavy side frames were braced by two levels of horizontal oak beams. Her primary use was whaling in the northern seas, and she was built sturdily enough to withstand the heavy weather and ice that would be encountered there. That strength proved useful for Antarctic exploration as well and between 1911 and 1917 she made five trips to the continent, both for exploration and rescue missions. Cecil Thomas Madigan was an Australian explorer and geologist, academic, aerial surveyor, meteorologist, author and officer of the British army. He was born in Renmark, South Australia. His family had associations with William Benjamin Chaffey. Belgrave Edward Sutton Ninnis was a British Lieutenant in the Royal Fusiliers and an Antarctic explorer who was a member of Sir Douglas Mawson's 1911 Australasian Antarctic Expedition. The Western Base Party was a successful exploration party of the Australasian Antarctic Expedition. The eight-man Western Party was deposited by the Aurora on the Shackleton Ice Shelf at Queen Mary Land. The leader of the team was Frank Wild and the party included the geologist Charles Hoadley. Sir Douglas Mawson's air-tractor sledge was a converted fixed-wing aircraft taken on the 1911–14 Australasian Antarctic Expedition, the first plane to be taken to the Antarctic. Expedition leader Douglas Mawson had planned to use the Vickers R.E.P. Type Monoplane as a reconnaissance and search and rescue tool, and to assist in publicity, but the aircraft crashed heavily during a test flight in Adelaide, Australia, only two months before Mawson's scheduled departure date. The plane was nevertheless sent south with the expedition, after having been stripped of its wings and metal sheathing from the fuselage. Engineer Frank Bickerton spent most of the 1912 winter working to convert it to a sledge, fashioning brakes from a pair of geological drills and a steering system from the plane's landing gear. It was first tested on 15 November 1912 and subsequently assisted in laying depots for the summer sledging parties, but its use during the expedition was minimal. F. J. Gillies was a sailor originally from Cardiff, Wales. During his early career he trained as an engineer aboard Welsh steamships, before working the India trade routes. From 1911 to 1914, during the Australasian Antarctic Expedition (AAE), he served as Chief Engineer aboard the SY Aurora, under John King Davis. In his 1962 book High latitude, Davis wrote of Gillies' work during the expedition: "We were most fortunate in the selection of F. J. Gillies as Chief Engineer of the Aurora. Quite apart from his high technical skill and efficiency as an engineer, he was the wise counsellor and kindly shipmate of everyone on board throughout the expedition." Gillies joined the Aurora again in 1916, and served as First Officer during the rescue of the Ross Sea component of the Imperial Trans-Antarctic Expedition, for which he was later awarded the Polar Medal. Leslie Hatton Whetter ; was a surgeon and Antarctic explorer from New Zealand. A graduate of the University of Otago, in 1911 he joined the Australasian Antarctic Expedition (AAE), led by Douglas Mawson. During 1912, Whetter joined two sledging parties, the first to lay supplies, and the second to explore the area to the west of the Main Base at Cape Denison. On the second expedition, his party of three man-hauled a sledge 158 miles (254 km) from the Cape Denison base, and in the process discovered the first meteorite to be found in Antarctica. Mawson thought Whetter lazy, and the two clashed several times, Mawson describing Whetter as "not fit for a polar expedition". The Far Eastern Party was a sledging component of the 1911–14 Australasian Antarctic Expedition, which investigated the previously unexplored coastal regions of Antarctica west of Cape Adare. Led by expedition commander Douglas Mawson, the party aimed to explore the area far to the east of their main base in Adélie Land, pushing about 500 miles (800 km) towards Victoria Land. Accompanying Mawson were Belgrave Edward Sutton Ninnis, a lieutenant in the Royal Fusiliers, and the Swiss ski expert Xavier Mertz; the party used sledge dogs to increase their speed across the ice. Initially they made good progress, crossing two huge glaciers on their route south-east. Percy Correll (1892-1974) was a mechanic and an assistant physicist on Sir Douglas Mawson's scientific expedition to Antarctica from 1911-1914, the Australasian Antarctic Expedition. Walter Hannam (1885–1965) was an early Australian wireless experimenter, a foundation member of the Wireless Institute of Australia, wireless operator and mechanic on the Australasian Antarctic Expedition, a member of the ANZAC Wireless Coy. in World War I, and tireless promoter of amateur radio in the 1920s. Alfred Hodgeman was an Australian architect and cartographer known for his involvement in the Australasian Antarctic Expedition.